This week's Iron Craft Challenge was to create something inspired by our heritage. I am a mutt of mostly European descent and I couldn't settle on one country for my inspiration. So I decided to go a slightly different route and created a family tree. I am working on gathering pieces of art for a gallery wall in my son's room and I think this will be a nice addition. My tree was actually inspired by a frame I spotted at Target. To make my tree I sketched my tree, and where I wanted to place my family members, on a piece of poster board, used my handy Fiskars circle cutter to cut out the holes, printed black and white photos on the computer, then taped each picture behind it's hole. 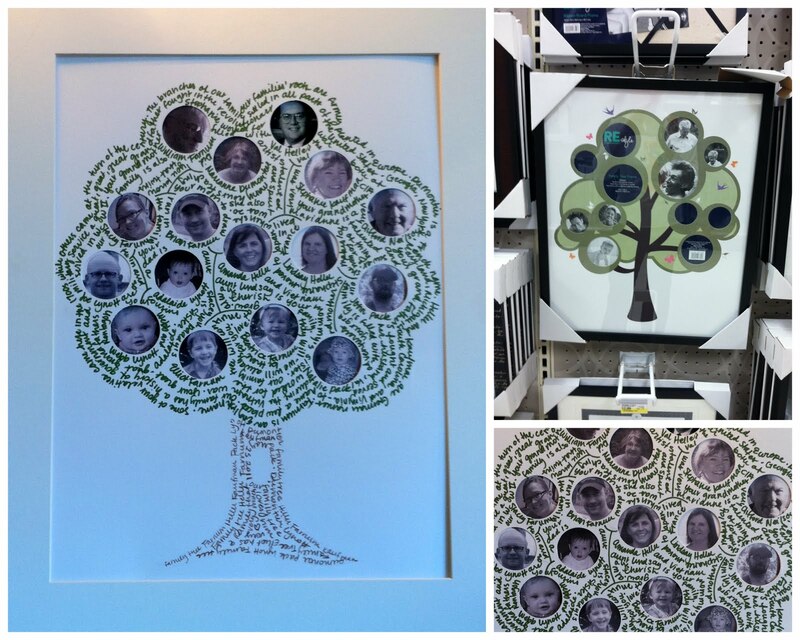 I filled in the tree and trunk with each person's name and little facts about my family and its origins. It was very easy to make so if our family grows, it won't be difficult to make a new tree. Thanks Tabitha! If you make your own version please share it on the Facebook page.